River Studios was designed and purpose built to ensure the best possible recording results. With our state-of-the-art equipment and experienced producers, River Studios is a high-quality recording studio, that can cater to all music projects. 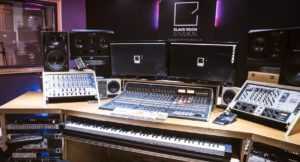 River Studios comprises of three state of the art recording studios. 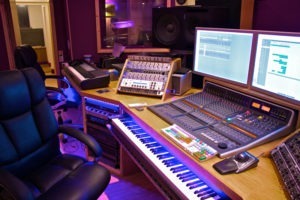 Each studio provides top end production, but each is specially designed for different musical projects. The Black Room is suitable for all music projects, including full bands, and contains a large, comfortable control room, two live rooms, two isolated amp rooms and also includes kitchen and toilet facilities. 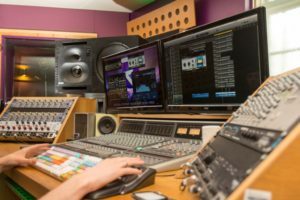 Our recording studio facilities can cater for any recording requirements, from singers wanting to record cover songs, to full bands and orchestras. All our producers are experienced sound engineers, musicians and songwriters. Our goal is always to assist you in achieving your own sound. 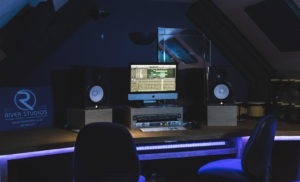 We are happy to assist you at any stage of the creative process, whether you’re starting from a sheet of lyrics, have a bare idea for a melody, a full arrangement, or a complex production planned out. We have the skills, knowledge and equipment to help you create something you will be proud of.